The Panorama prenatal screen is designed for women of any age and ethnicity who are at least nine weeks pregnant. This simple blood draw is able to detect if your baby is at a higher risk for having Down syndrome or other commonly found genetic conditions, as well the gender of your baby. Being non-invasive and highly accurate, the test is able to detect more than 99% of pregnancies affected with Down syndrome and has one of the lowest false positive rates of any prenatal test. 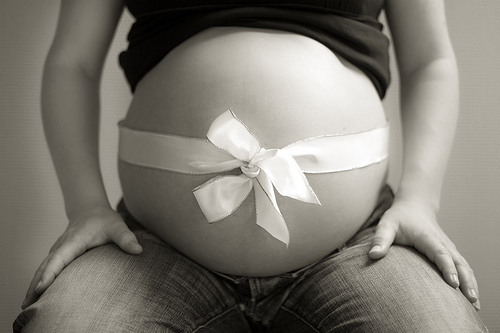 How much does a Panorama prenatal test cost? The cost of a Panorama prenatal screen, as per the official website, will vary depending on the panel you select and your insurance coverage. If you do have health insurance, the company notes it will be contingent upon your coverage benefits and your specific plan. Browsing at their list of their official approved health insurance carriers, it does appear they work with most major carriers such as Blue Cross and UnitedHealthcare. From our research, as long as you meet the insurance company’s requirement, such as age and health history, it should be covered. From our research from multiple people online, the costs appear to greatly range anywhere from $2,500 to $5,500 if billed to your insurance, but if your insurance does deny your claim, many people reported you will only pay about $200 to $500 max out of pocket. Do not be surprised if you receive an EOB with a high five-figure as many people reported it dropped drastically if you called Panorama directly. All of this information came from third-party resources and cannot be guaranteed nor confirmed, so it’s best to talk with your doctor, your insurance company and the company directly for more information in regards to the costs. On this BabyCenter.com forum thread, for example, had multiple people claiming they received bills ranging anywhere from $2,500 to more than $10,000, but with more than six pages of replies, we did read a lot of people were able to call Panorama directly and pay about $200 to $500 out of pocket without insurance, but it did appear your results would greatly vary. At What To Expect, someone asked about this test, stating her doctor recommended the test since she was 37 years old. Curious about the costs, most of the replies said you should be prepared to pay less than $200 out of pocket if insurance didn’t cover it. How dos the Panorama blood test work? This simple blood draw, often done inside of your doctor’s office or an approved lab, will determine the likelihood your baby could be affected by a chromosome abnormality such as Down syndrome (trisomy 21), trisomy 18, trisomy 13, monosomy X and triploid. In some cases, your doctor, depending on your situation, may recommend other tests, offered by the same company, which is able to screen for more conditions, including 22q11.2 deletion syndrome, 1p36 deletion, Cri-du-chat syndrome, Prader-Willi syndrome and Angelman syndrome. After the draw, the results are often available within the week and depending on your doctor’s discretion, they may interpret the results of the phone or ask you to come into the office to go over the results. On the results, it may state the following: low risk, indicating it’s unlikely your baby is affected by one of the conditions presented on the panel or high risk, meaning there’s a higher than average chance your baby could have a chromosome abnormality. In this case, your doctor will recommend you talk with a genetic counselor or specialist to take advantage of invasive tests such as a CVS or amniocentesis. The company clearly states you should not make a sole decision based on the results of this test. In rare cases, a “no result” may appear, meaning the lab was not able to obtain enough information in your blood sample to determine an accurate result. If this were the case, a second blood test would be recommended. The company, according to its FAQ offers payment plans for as little as $25 per month. The fine print, however, states not everyone may qualify. If you want to learn more information about this screening test, they do offer free 15-minute consultations over the phone with board-certified genetic counselors. You can call 844-707-4621 or visit the official website’s portal to set up your information session. The test cannot be used for women carrying more than three or more babies, women who used an egg donor or a surrogate carrying more than one baby. The gender accuracy rate has a greater than 99% sensitivity rate with a 0% false positive rate.